I stamped a focal panel with the sentiment, and carried out the beautiful yellow theme with my card base and matting. The Daffodils were stamped and fussy cut, then attached with some pop dots. card, and I think it turned out very nicely! I'm entering this card in the Word Art Wednesday challenge! Love that corner element my friend. Gorgeous. Wow what a nice layout - going to have to case this one. Love the image you used. This was a fun photo inspiration. Love those beautiful daffodils!! Great card! Patti, this is fabulous! That corner just rocks this design. Great card Patti! I love the colors, definitely reminds me of spring. It will surely brighten someone's day. 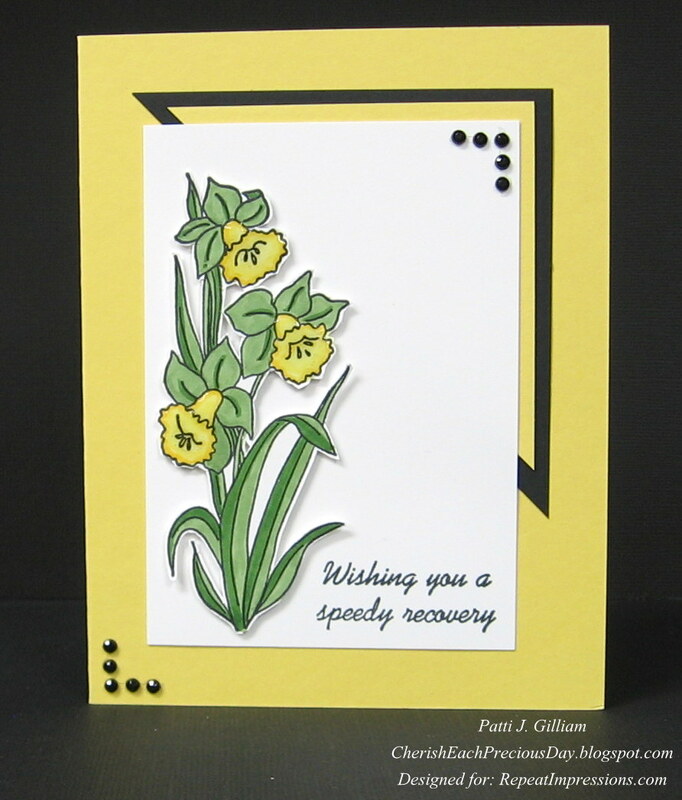 What a beautiful card with those pretty daffodils. I love how you laid out your card too with the fun background corner element design. Beautiful card, Patti. Love the image and the card design. So delicate and stunning! Love it! Beautiful!! Fabulous layout and I really like the pop of black. Fabulous card, Patti! Love the addition of the black triangle frame. It really sets off your tulip panel so nicely. Hope you're having a good week. Lovely card. How unique to add the triangle shape. Darling card, like how you added the triangle! What a cheery card. 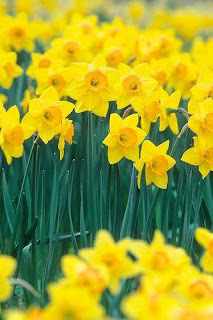 Love the daffodil image, too. Thanks for sharing. Lovely card Patti. Those daffodils are so beautiful. Thinking of you, just because! Happy Friday - Itty Bitty Blog Candy!